Twenty UBC students travelled to China this summer to participate in a UBC Global Seminar exploring the heritage of Chinese migration. Now, the students are bringing their research home to share with local heritage organizations and communities. Photo credit: @jennystomatoes via Instagram. Taught by History professor Henry Yu, ACAM 390A (a Go Global seminar) gave students an opportunity to consider community-based, ethical practices while conducting research in a global setting. Students delved into research themes such as the changing nature of food traditions and practices over time and space, food as a form of medicine, and diasporic relationships to heritage and home. Travels began with a short stint in Hong Kong, where students attended a lecture on intangible cultural heritage by Dr. Hoyin Lee, a leading conservation scholar who helped identify Singapore’s first UNESCO World Heritage site. They also visited Sheung Wan, an important Chinese dry goods trading centre, and Yau Ma Tei, an older residential area with lively street markets. By participating in daily meal preparation, students learned from local villagers about the heritage and culture of the region through the perspective of food. 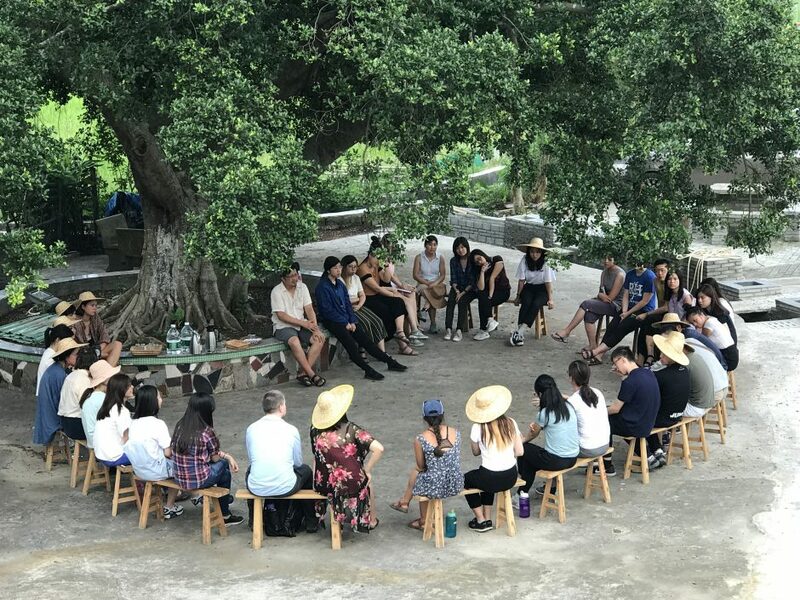 Upon arriving in Kaiping, in the “Szeyup” region in Guangdong Province, students were immersed in the heritage and culture of rural Szeyup environments through a combination of workshops, field trips, and lectures by local experts. The students also participated in day-to-day activities, such as helping local villagers prepare meals or wash dishes, to gain exposure to local knowledge, practices, and customs surrounding food. These experiences highlighted how cultural heritage is sustained by the community, rather than being an inherent quality of the physical space itself. Students sharing and reflecting under the banyan tree after a full weekend of home village visits in 開平 (Kaiping/Hoiping), 新會 (Xinhui) and 台山 (Taishan). The Szeyup region is the ancestral homeland for over 80 per cent of overseas Chinese people who settled in the Americas, the Caribbean, Hawai’i, New Zealand and Australia. With nearly half of the students having direct ancestral ties to the region, another highlight of this course involved ancestral village visits in Kaiping, Xinhui, and Taishan. Geography student Gillian Der was surprised to discover that her ancestral village was a mere fifteen minute walk from the class’s main base. 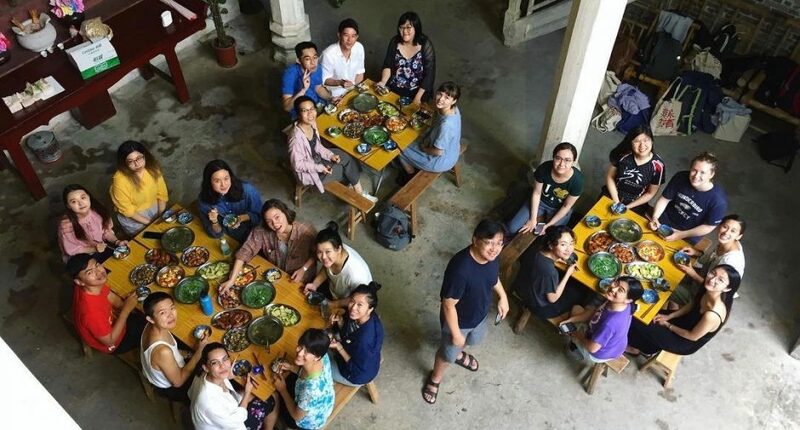 For students with or without ancestral connections to Kaiping, the common thread that emerged was a shared sense of gratitude for the opportunity to share, collaborate, research, and document histories that are often untold. A unique component of this course involves connecting students to B.C.-based organizations including the Burnaby Village Museum, Chinese Canadian Historical Society of BC, and the Vancouver Heritage Foundation through paid summer internships. While in China, students were asked to consider how their research could benefit local Vancouver communities. As part of this Global Seminar, several students are participating in paid internships to translate their research into interpretive materials for local heritage organizations, including the Burnaby Village Museum. Photo credit: @richardliu18 via Twitter. 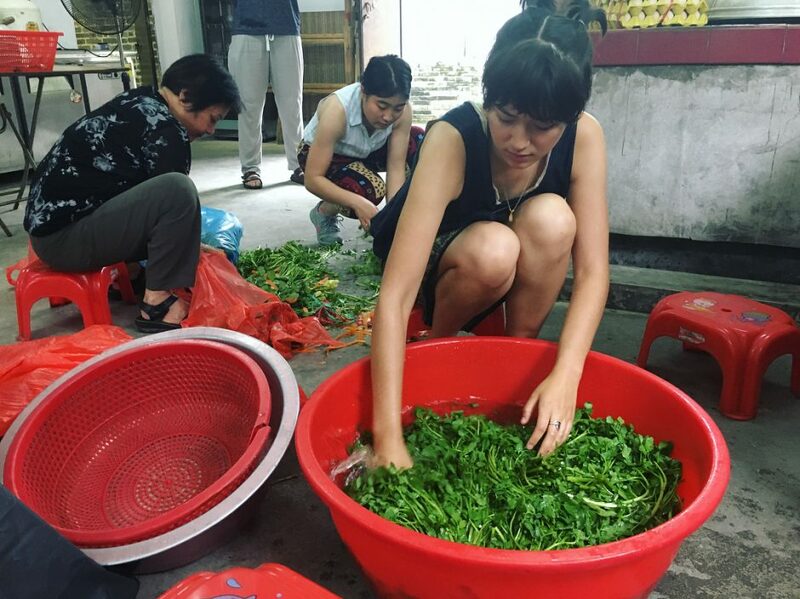 With the knowledge gained from this international experiential program, 14 ACAM 390A students are working with community partners this summer to translate their research into usable content in a local context. 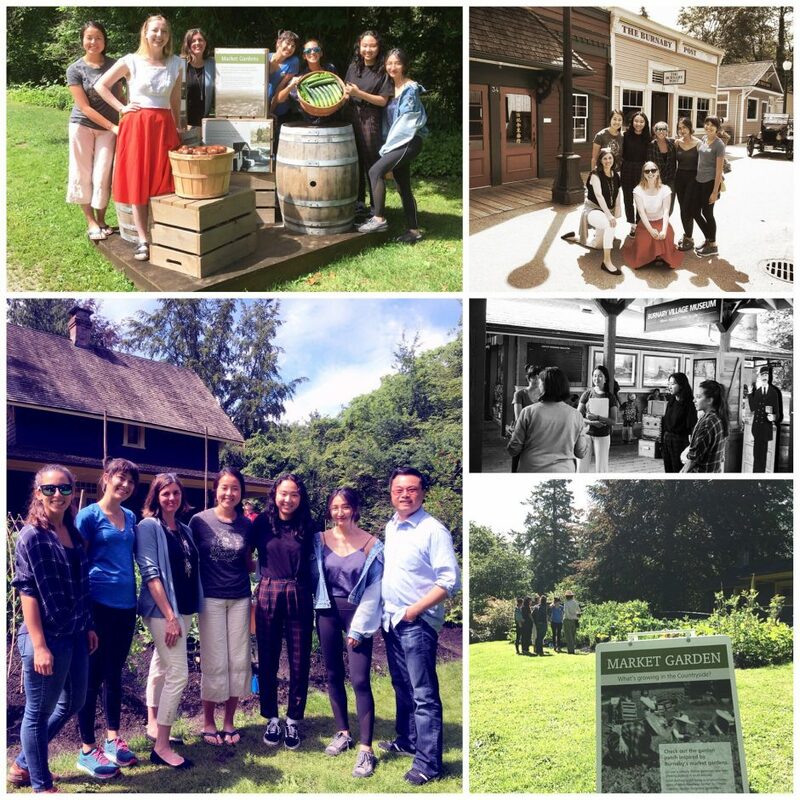 One example is the Burnaby Village Museum-UBC research partnership, in which five ACAM 390A students will produce an interpretive museum experience that acknowledges the history and contributions to systemic food security of Chinese Canadian farmers in Burnaby. Student Stephanie Johnson, a Burnaby resident and Land and Food Systems major, is participating in the BVM-UBC internship. She is proud to live in Burnaby’s “Big Bend,” a neighbourhood with a rich history of Chinese Canadian market farmers. To this day, Chinese Canadian farmers rooted in the Big Bend area continue to contribute to the local food system. “It’s phenomenal to make a local impact on my own community through school work. I never imagined that this opportunity would be facilitated by my university experience,” says Stephanie. Students will share research findings with local community partners including the Burnaby Village Museum (BVM) and the Vancouver Heritage Foundation in July and August 2018. The Asian Canadian and Asian Migration studies program will publish ACAM390A student work such as virtual reality tours, short films, zines, and brochures within the coming months. This course was funded by the Arts Research Abroad (ARA) grant, Go Global, the Vice-Provost International Office, and the Faculty of Land and Food Systems. Local placements are supported and funded by the Centre for Community Engaged Learning, Go Global, the Asian Canadian and Asian Migration Studies program, and St. John’s College. Article by Joanna Yang and Angela Ho. “Burnaby Village Museum partners with UBC to share history.” Burnaby Now, June 1, 2018. Ariane Fleishmann. “Burnaby Village Museum Shares Chinese-Canadian Farming History This Summer.” West Coast Food. June 29, 2018.